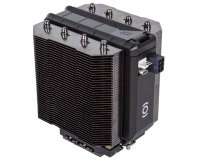 The performance of CPU coolers can vary depending on the CPU they're installed on due to differences in socket mounting mechanisms and processor thermal properties. As such, we test each cooler in three separate test systems using different sockets, all of which are overclocked to place added stress on the coolers. The LGA1150 socket is likely the most popular among enthusiasts, and the results from this should be roughly applicable to LGA1156, LGA1155 and LGA1151 users too. The LGA2011 socket is used for Intel's Extreme Edition CPUs, the fastest consumer chips around. Anyone using the newer LGA2011-v3 socket will want to focus their attention here too. Lastly, AM3+ is AMD's aging but still current socket for its most powerful chips, and the results here are roughly applicable to all AMD sockets since they use the same cooler mounting mechanism. The coolers are installed in a fully assembled system to replicate a realistic scenario. The case housing each system is a Corsair Graphite 730T, which is spacious enough to handle practically any cooler and has a traditional front-to-back airflow arrangement with two intakes and one exhaust, all of which are fixed at full speed for consistency. We have also added a Be Quiet! Silent Wings 2 140mm fan in the roof exhaust position in the LGA2011 system to prevent the motherboard VRMs overheating. Closed loop coolers are mounted with their fans as exhausts. 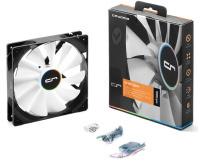 All cooler fans are also fixed at full speed to ascertain maximum performance, though if lower speed settings are available we test with these enabled too. We place our test rigs under load using the Small FFTs stress test in the free application Prime95, as this test is designed to place maximum load on the CPU. We use the free application HWMonitor to measure the temperature of our CPUs. We always take the maximum temperature for consistency and do so after 15 minutes, which is enough time for temperatures to plateau. The results provided are the delta T results; the difference between the recorded CPU temperature and ambient temperature at the time of testing. Our labs are not temperature controlled, so this provides the most accurate method of comparison for coolers tested on different days. Any cooler that causes one of our CPUs to reach its thermal limit and downclock is considered a fail. 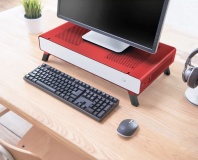 Each system runs Windows 7 64-bit installed on an OCZ Arc 100 240GB SSD and is powered by a Be Quiet! Straight Power 10 600W PSU. Following feedback from our readership, we now differentiate air and liquid coolers in our charts - air coolers are coloured red and water coolers are coloured blue. If you have any other feedback as to how we can make them clearer, please let us know. Partners with Lian Li for manufacturing. Running as low as 200 RPM. This air cooler uses thermoelectrics, not size, to achieve its cooling potential. Does it work?